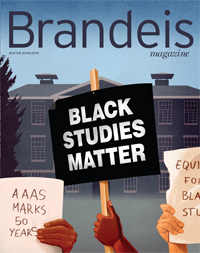 Brandeisians continue to turn up in the halls of power. In addition to naming senior adviser Daniel B. Shapiro ’91 as ambassador to Israel (see separate story), President Obama recently nominated career diplomat Lisa (Shapiro) Kubiske ’75 as ambassador to Honduras, and University of Chicago President Robert J. Zimmer ’68 as a member of the National Science Board, which governs the National Science Foundation. A foreign service officer since 1983, Kubiske was serving as deputy chief of mission at the U.S. Embassy in Brazil when she was nominated. Her State Department experience includes service in the Bureau of Western Hemisphere Affairs, as well as in embassies and consulates in Santo Domingo, Shanghai, Mexico and Hong Kong. She also played key roles within numerous U.S. government agencies in Washington. Prior to becoming president of the institution in 2006, Zimmer spent more than two decades as an administrator and as a faculty member in the University of Chicago’s math department. A member of the president’s committee on the National Medal of Science until 2010, Zimmer specializes in the mathematical fields of geometry and is the author of two books and more than 80 mathematical research articles. He holds a Ph.D. in mathematics from Harvard University.